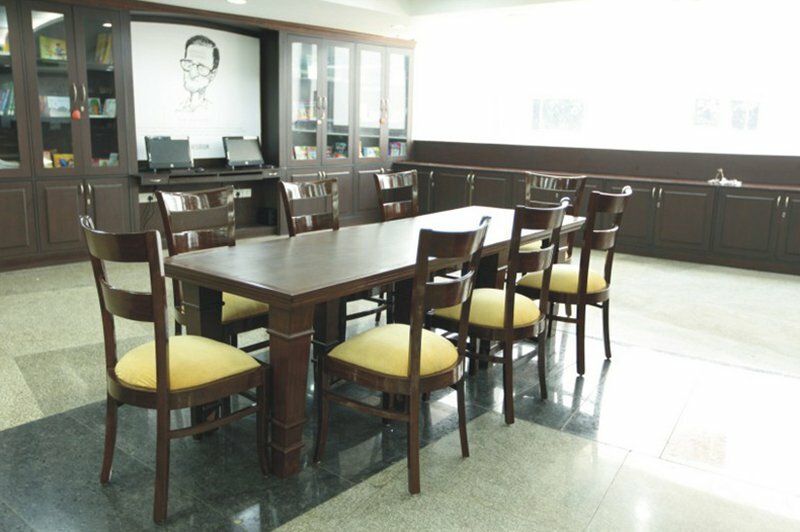 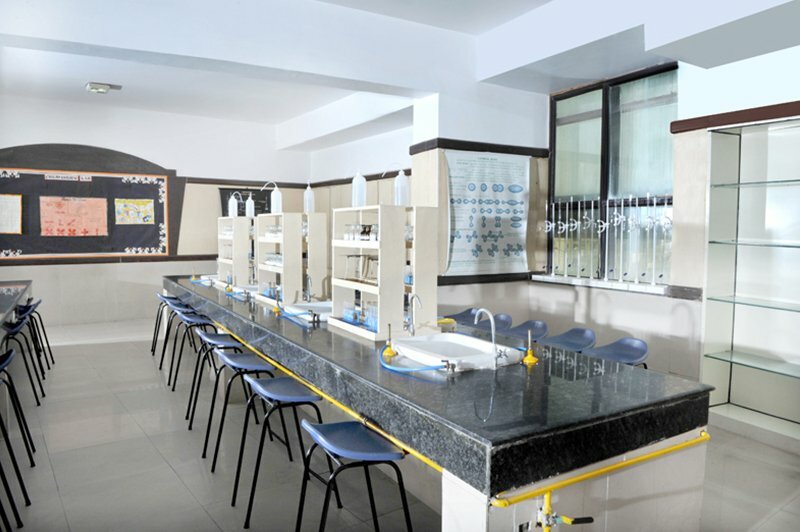 Presidium provides a classroom environment that fosters excellence and motivates students towards better performance. 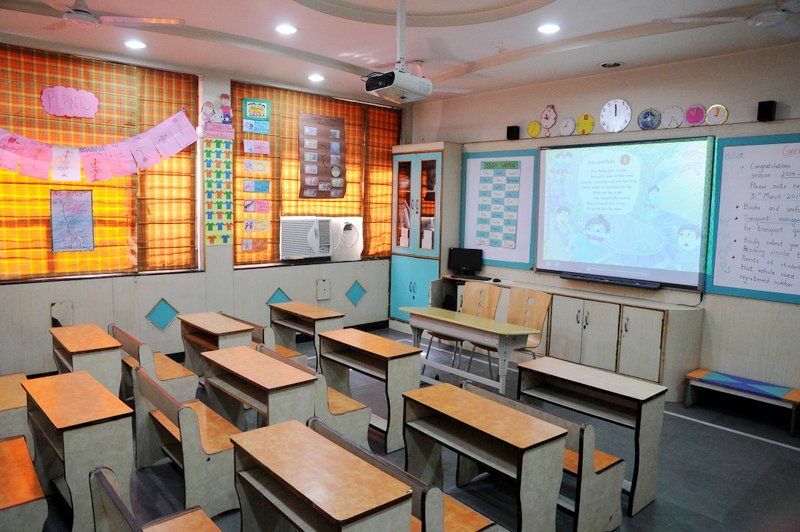 Our classrooms are aesthetically designed and integrated with smart boards and well-furnished desks. With technological support, our skilled teachers provide guidance to each individual. 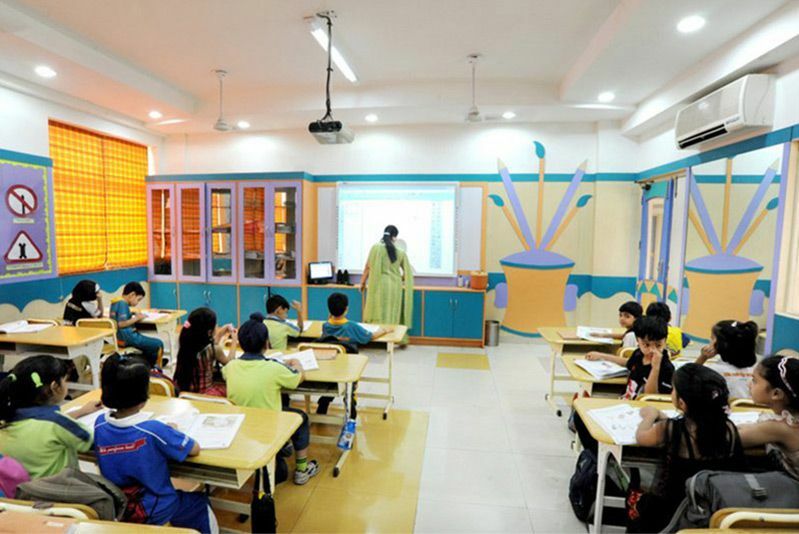 The emphasis is on making every classroom session interesting and interactive. 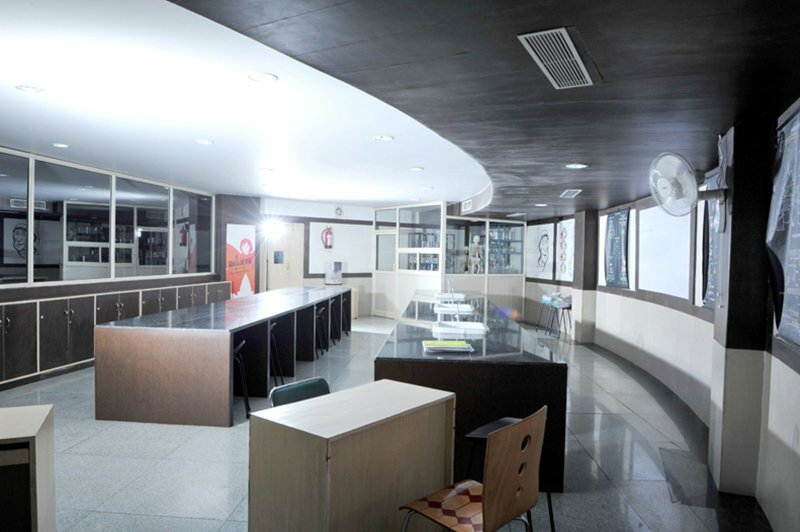 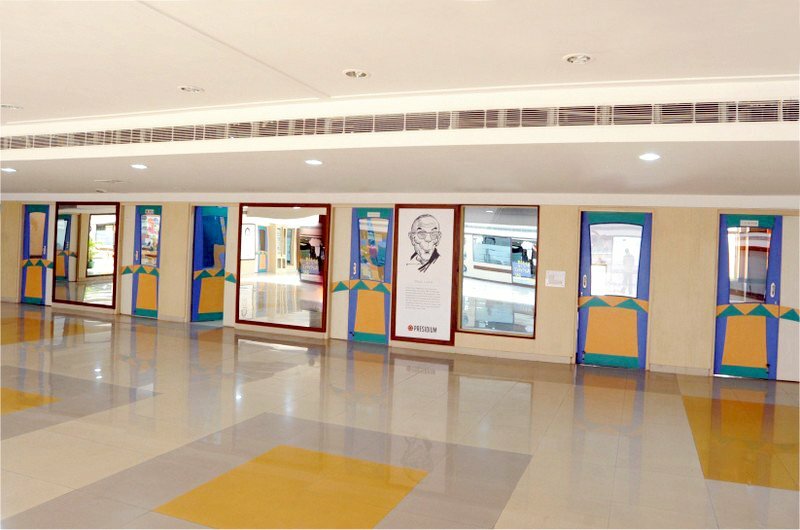 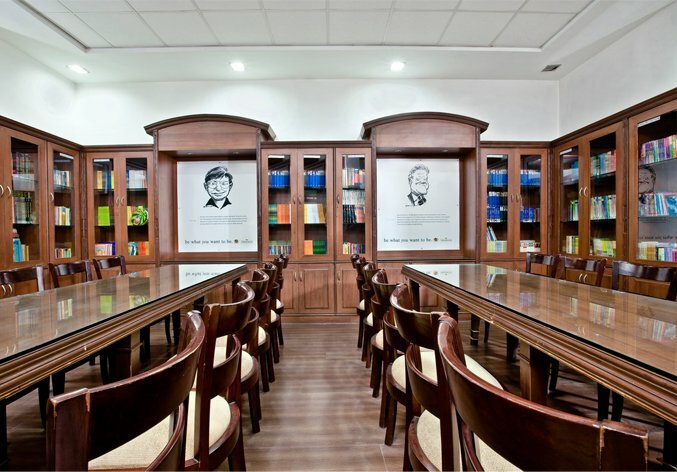 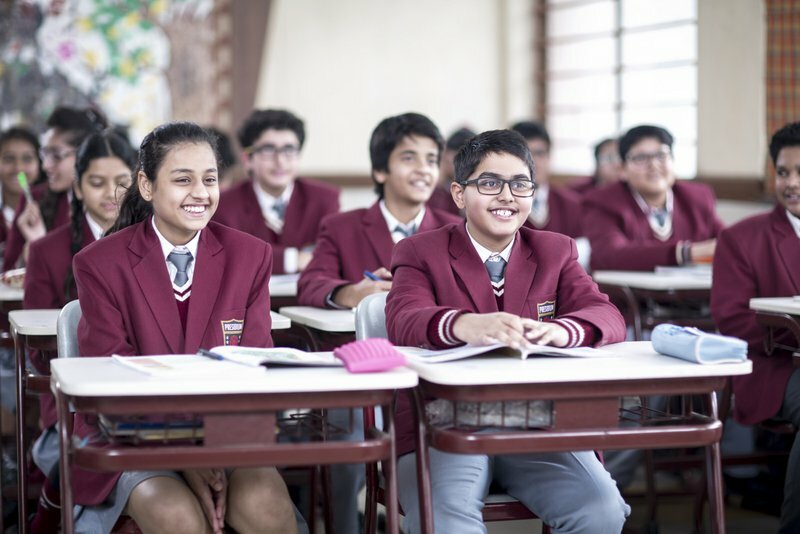 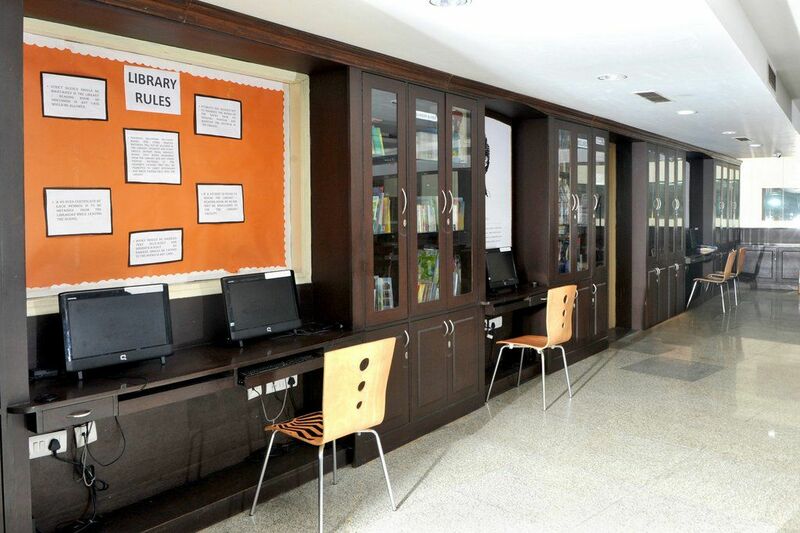 Acknowledging the fact that a library is a storehouse of knowledge, the school has provided students with a library architecture that is inspirational and conducive to learning, improved communication and interaction. 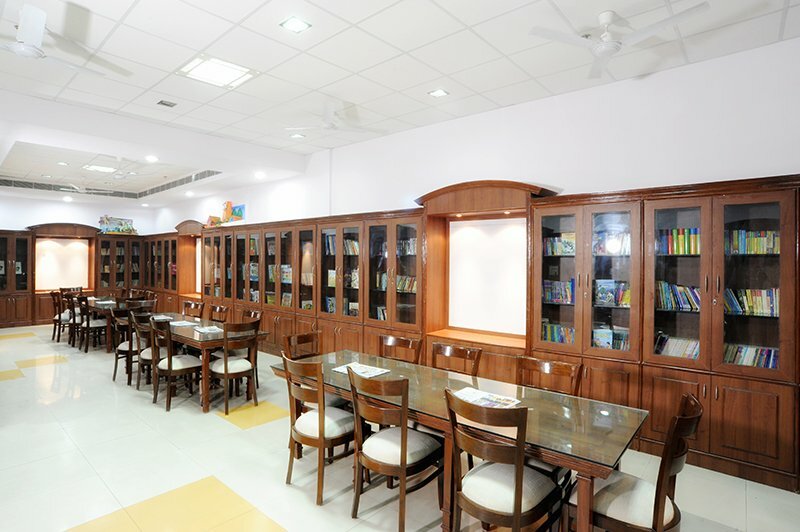 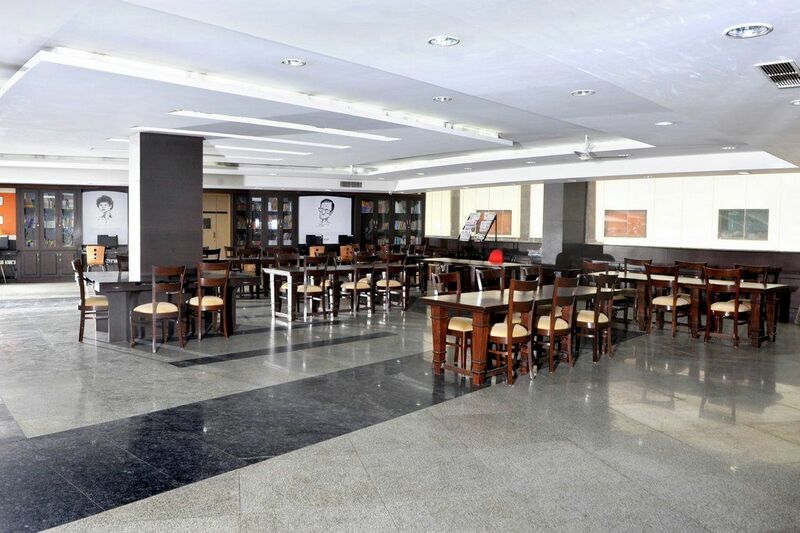 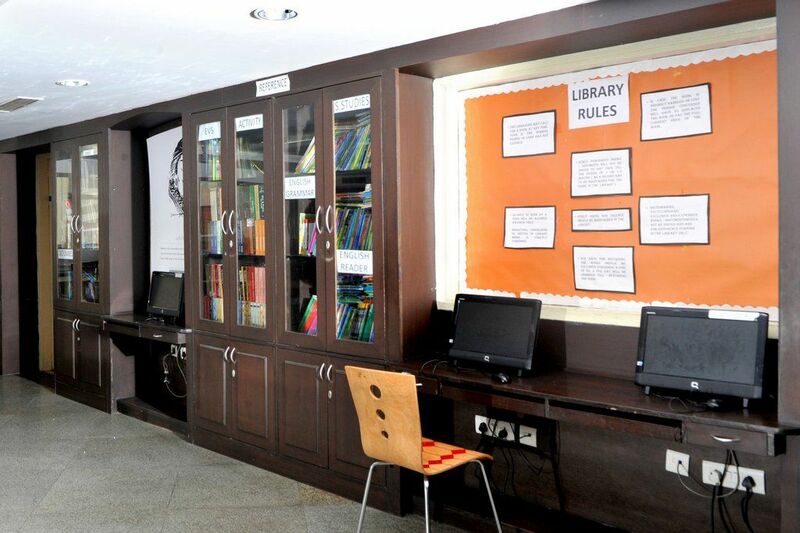 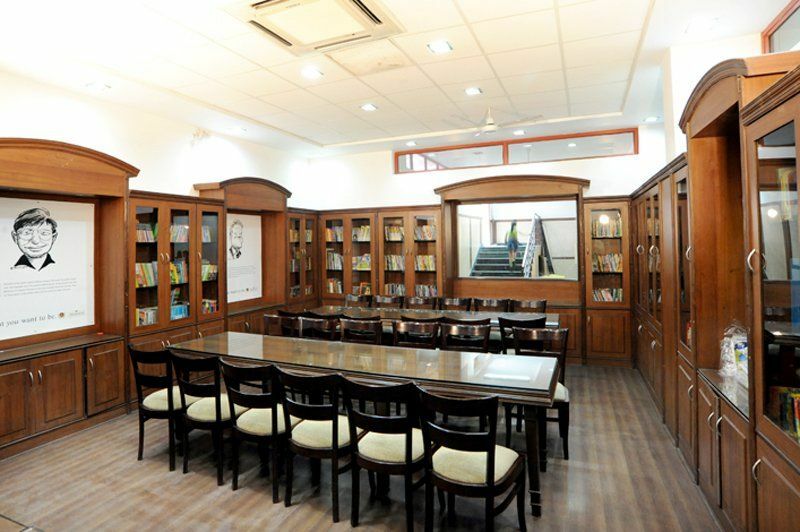 Our school library, a treasure trove of knowledge, has state-of-the-art infrastructure to provide students a place to learn, think and share ideas. 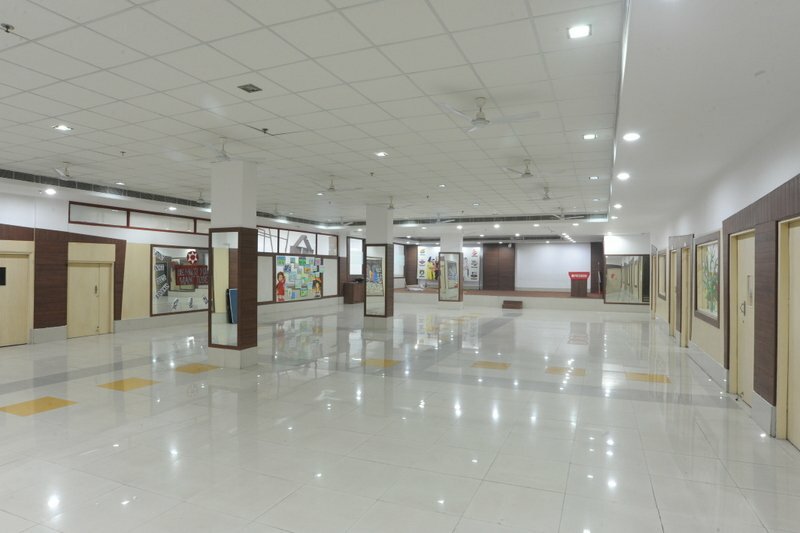 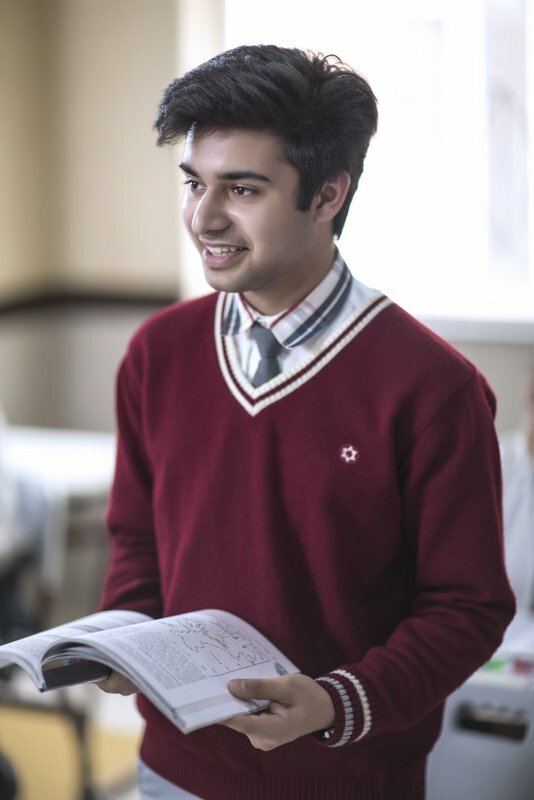 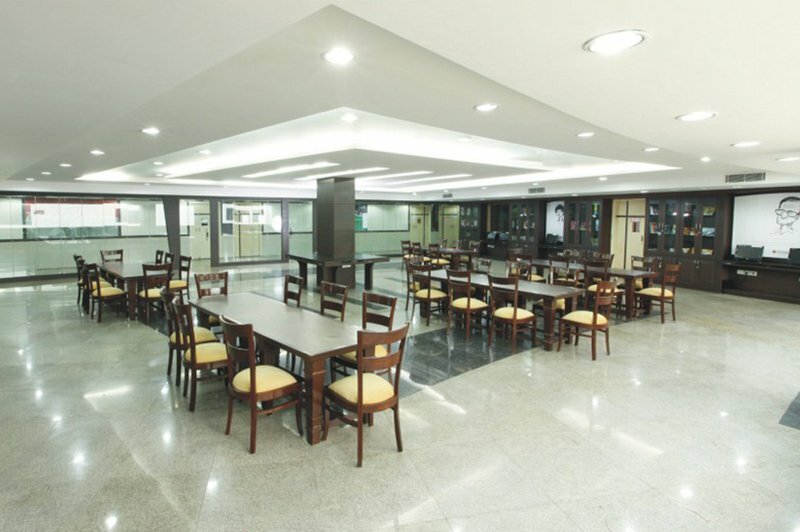 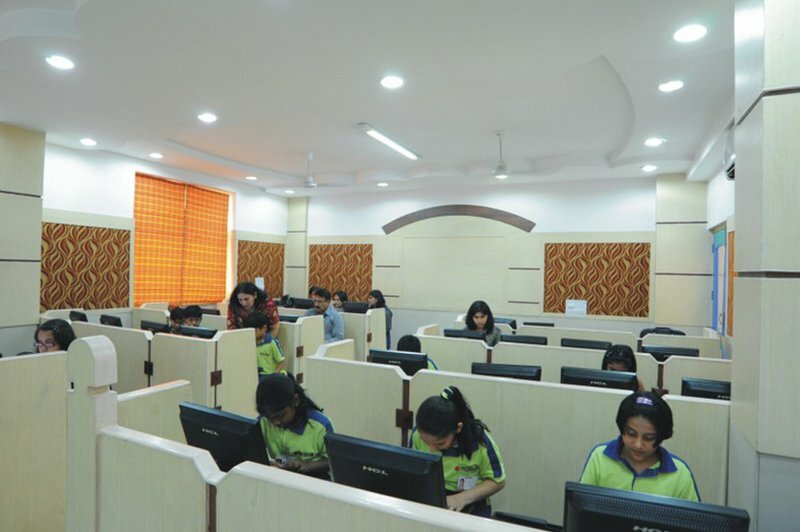 As knowledge is freely available in the digital world, we have incorporated computer systems in our library along with an internet connection so that a world of knowledge is readily available to students. 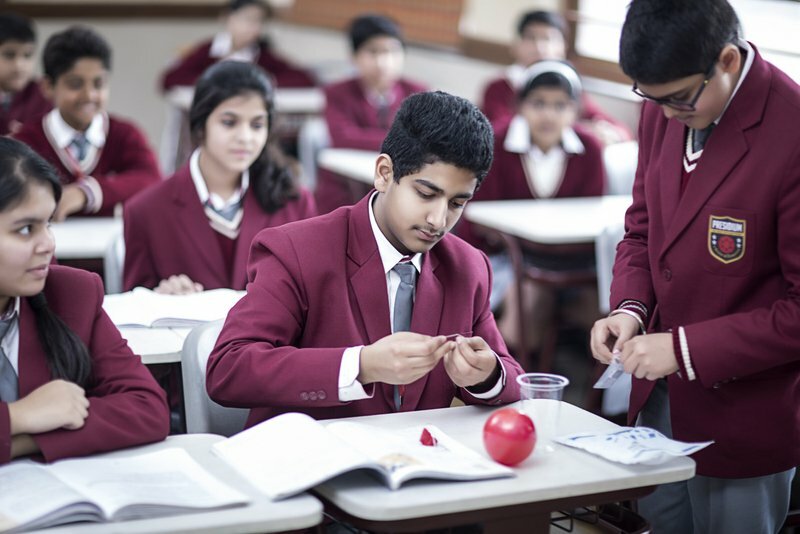 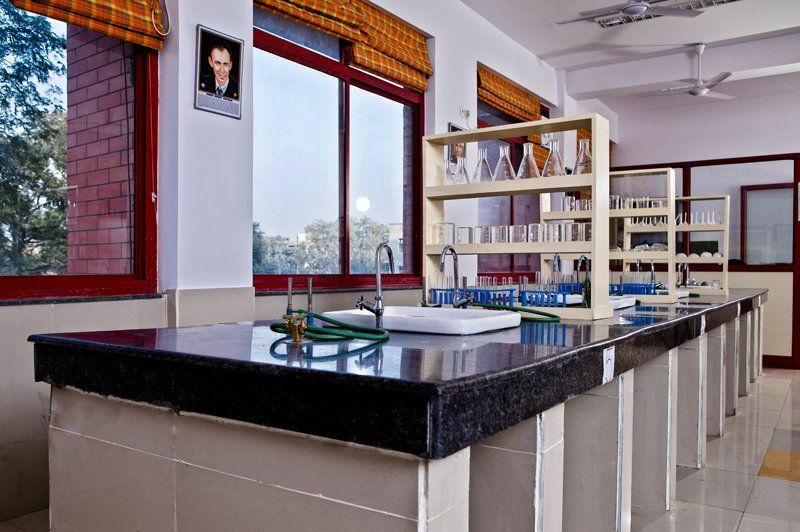 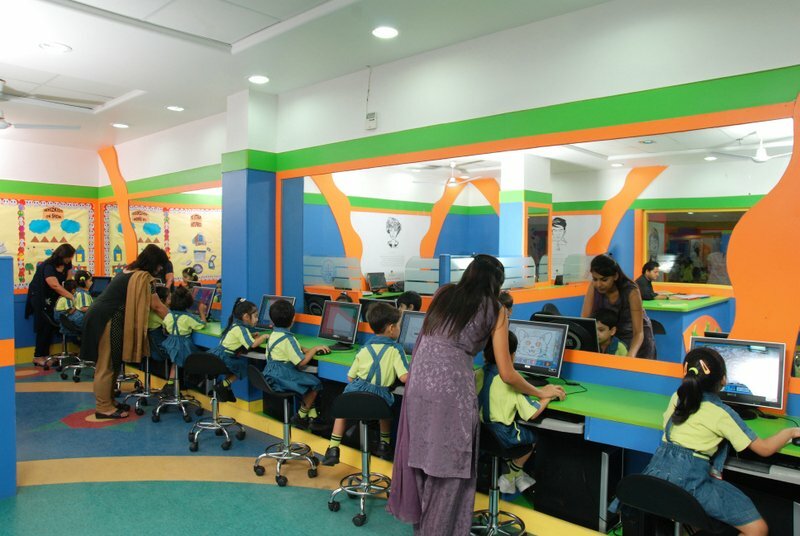 We believe such facilities fire children’s imagination, and widen their knowledge horizons. 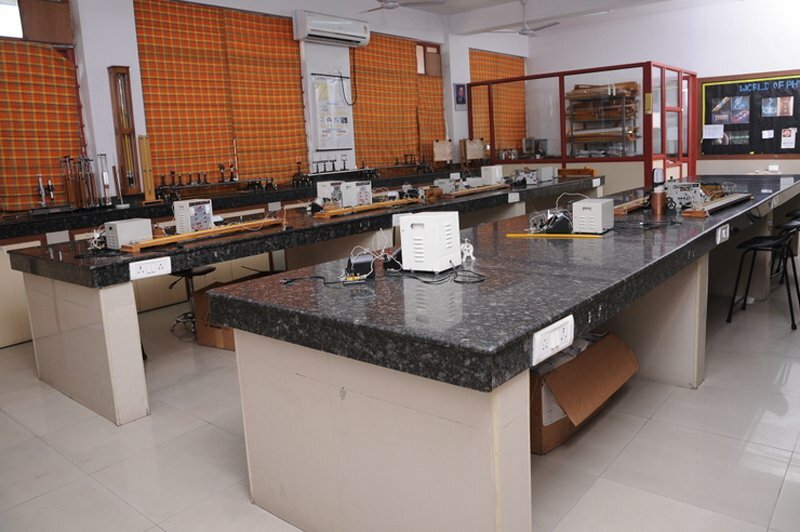 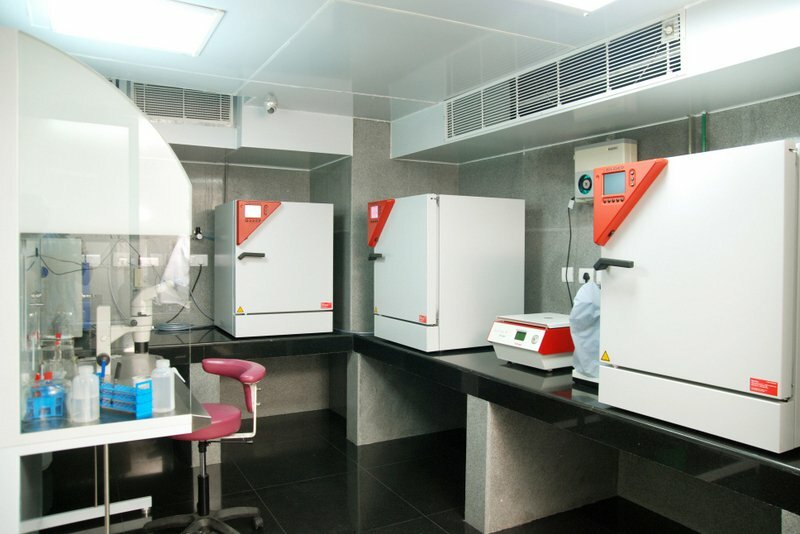 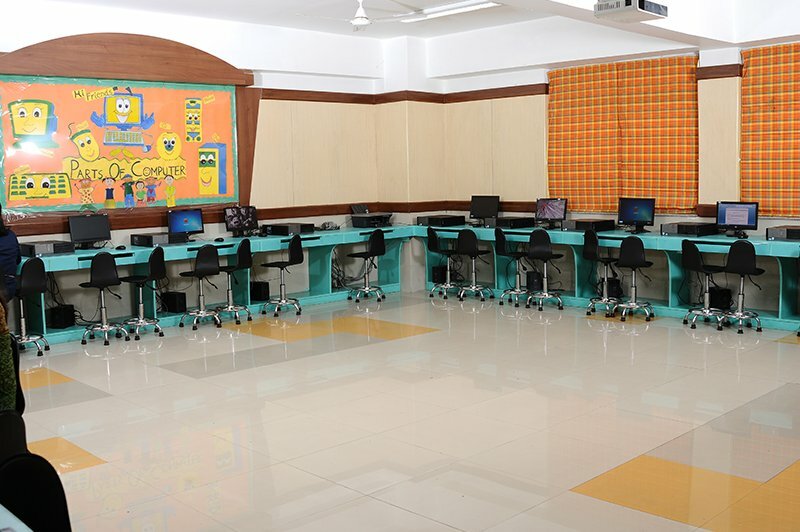 To encourage students to learn through practice, we have provided our students with fully-equipped mathematics lab. 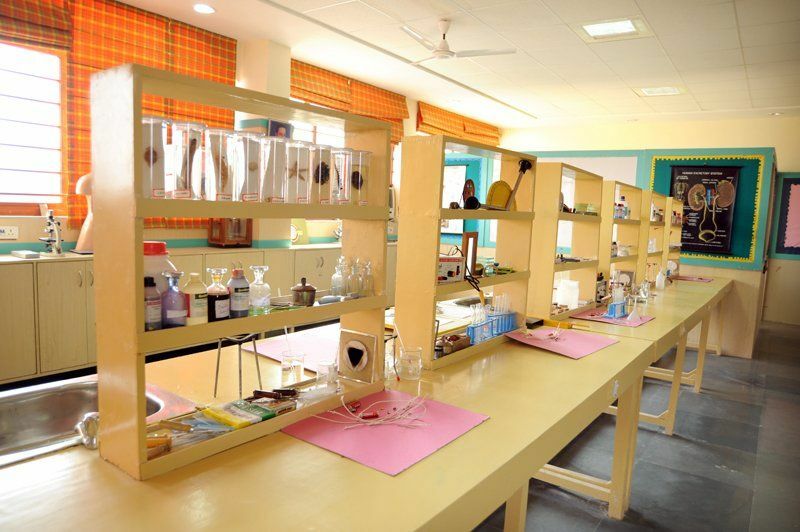 Here they can access the study materials for performing different mathematical experiments. 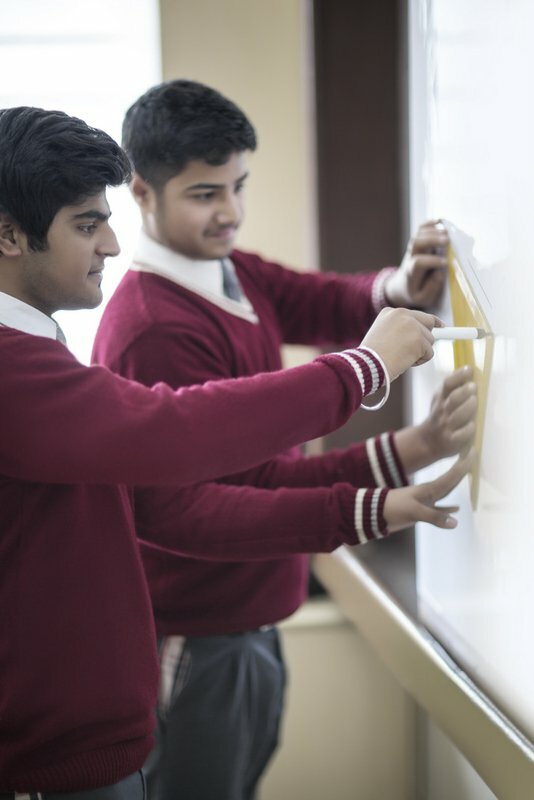 In addition to regular assignments, students also play mathematical games like puzzles in the lab area. 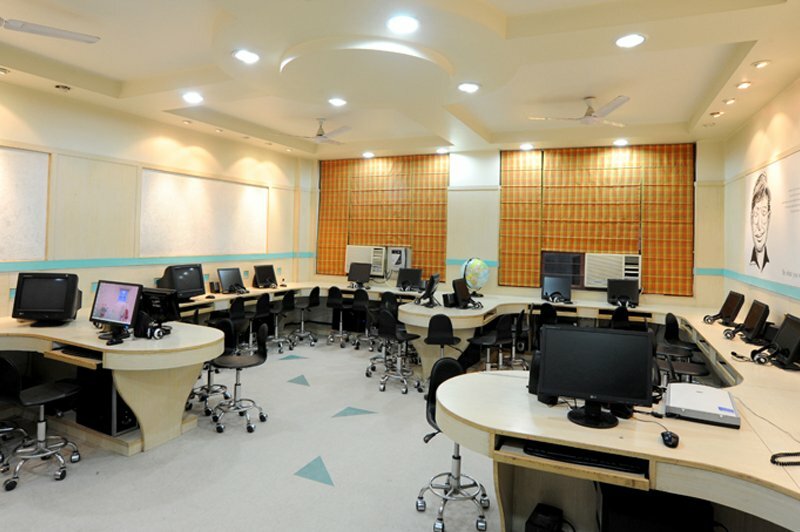 Information technology has become integral to every walk of life. 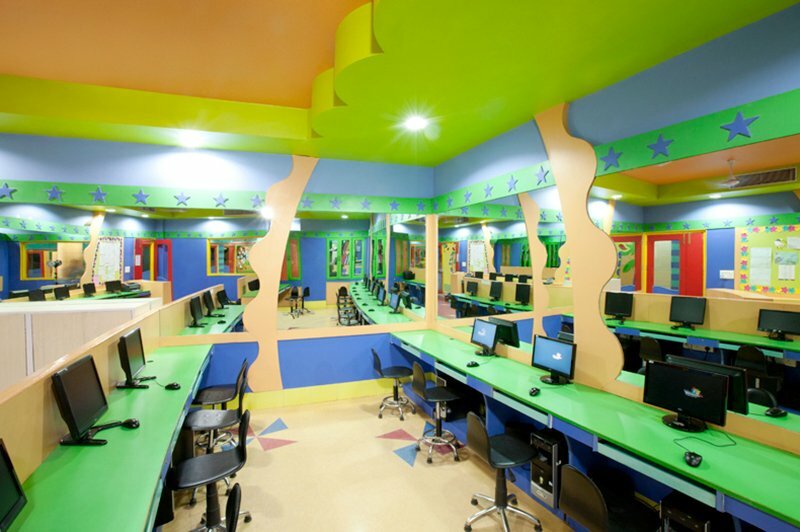 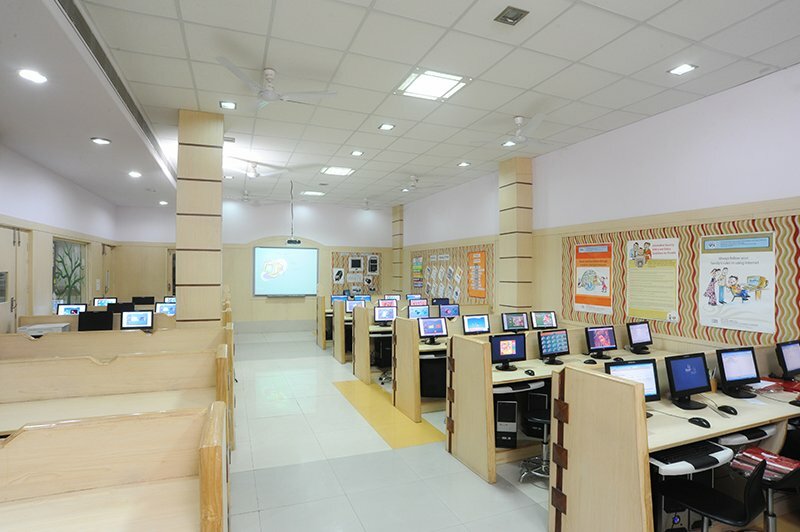 With fully-equipped computer lab, we expose students early to computer education. 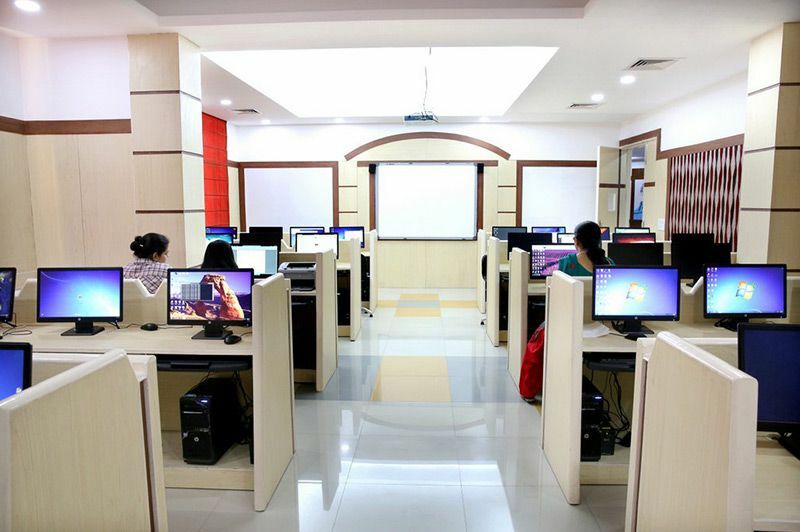 We have qualified teachers for assisting students to search for information, create multimedia presentations, execute project work and creatively present the content that they have gathered after comprehensive search from multiple sources. 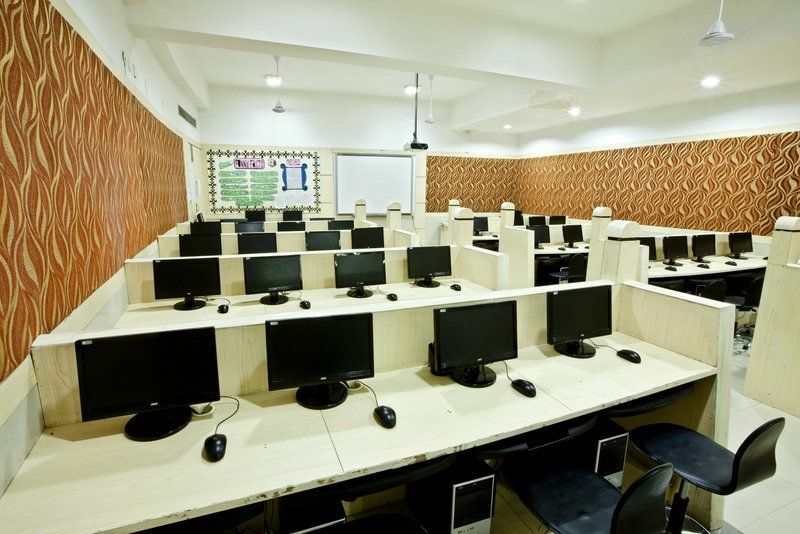 The IT teachers work hard with the students to sharpen their skills so that they can compete with students from different parts of country. 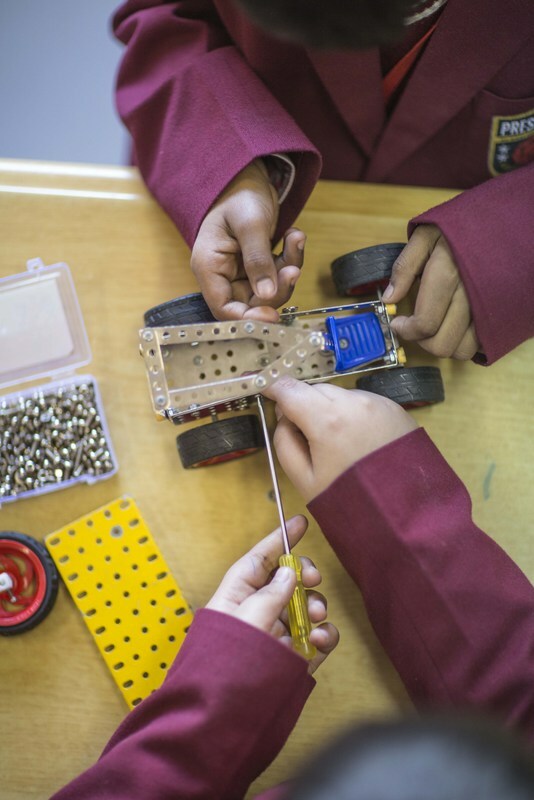 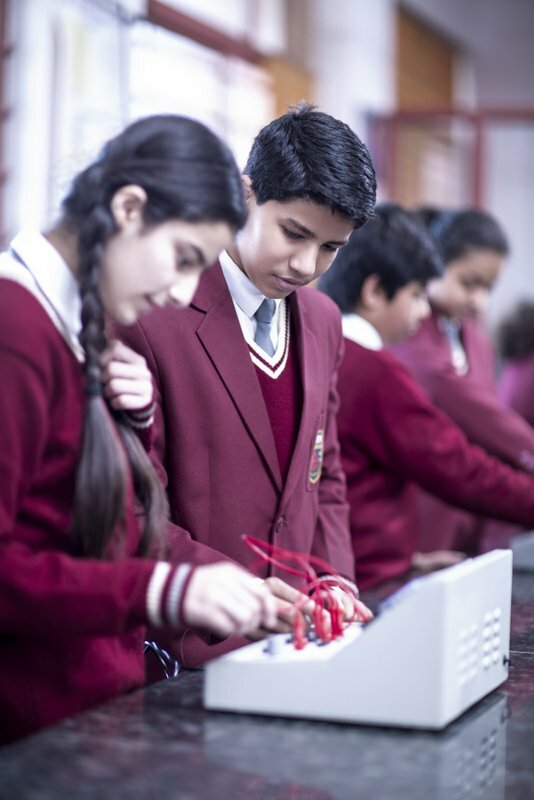 Integrating robotics into our curriculum fulfils the need of present-day learning environments where our future leaders need to be technologically sound and can enhance their skills including creativity, innovation, cooperation, team work and self confidence. 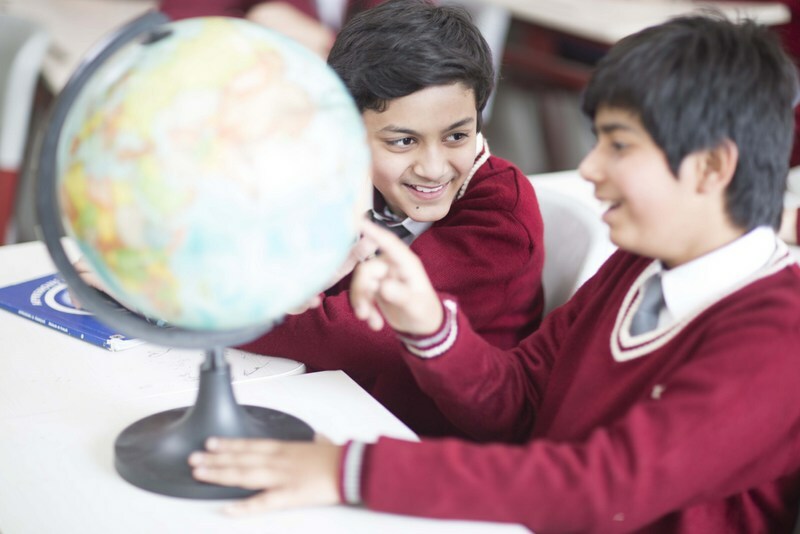 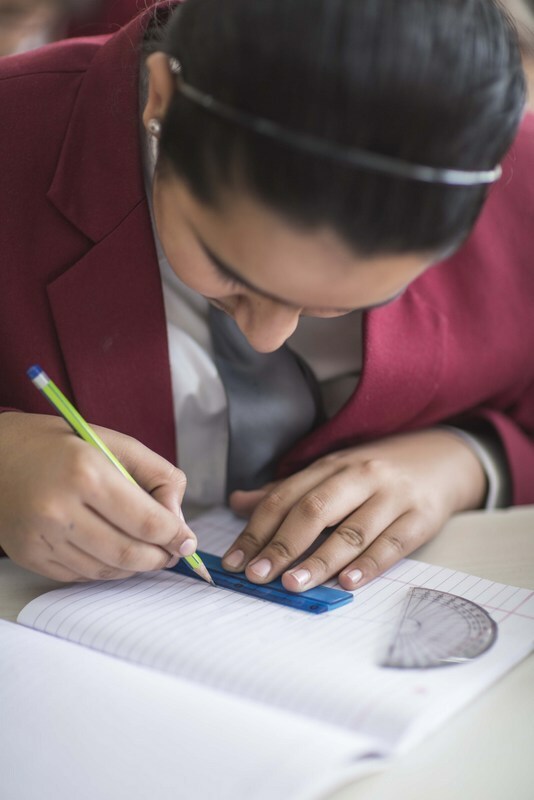 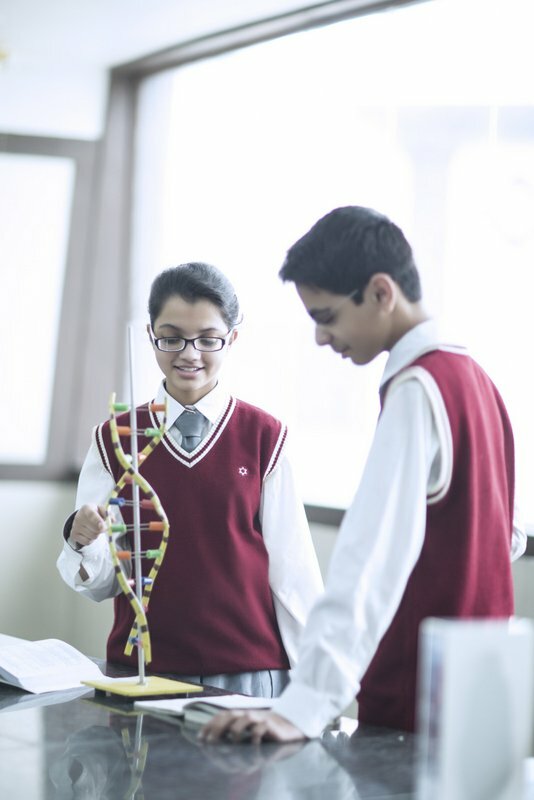 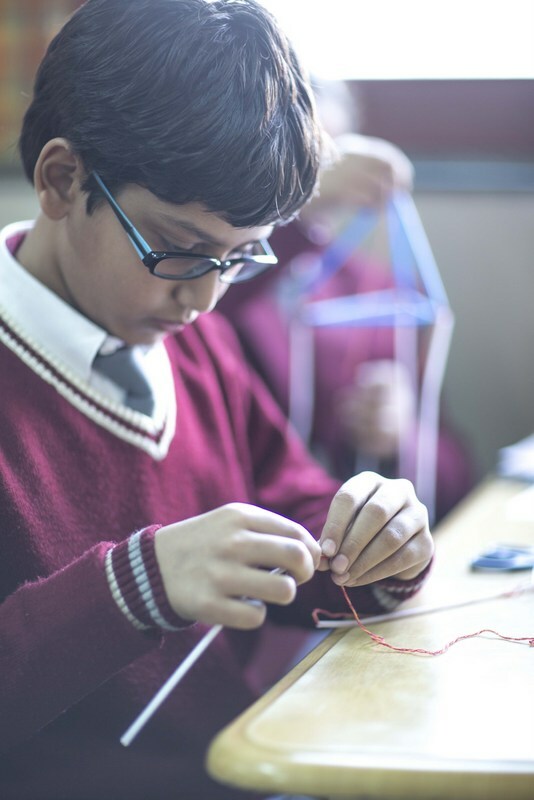 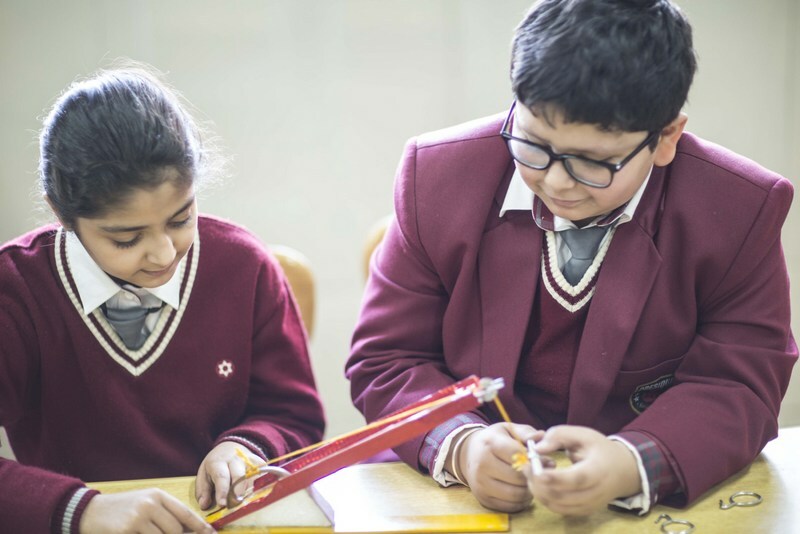 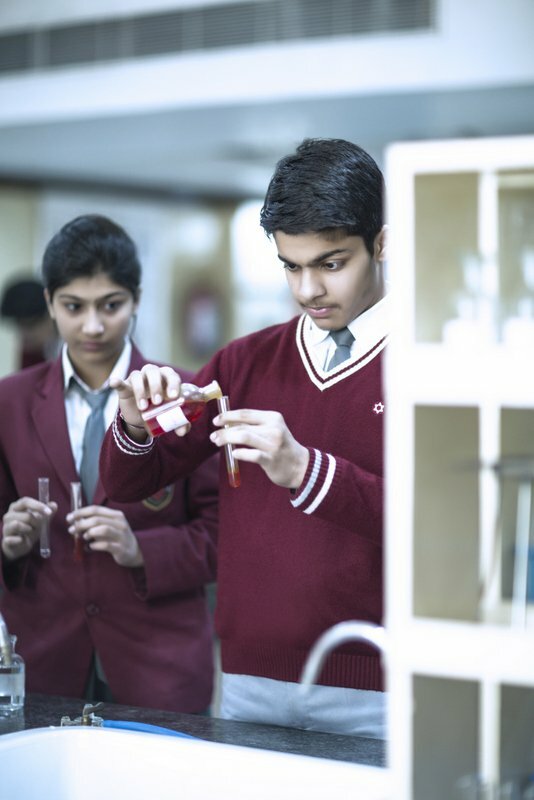 Through hands-on learning sessions, we aim at strengthening the bottom-line understanding of science, technology, mathematics in a collaborative manner. 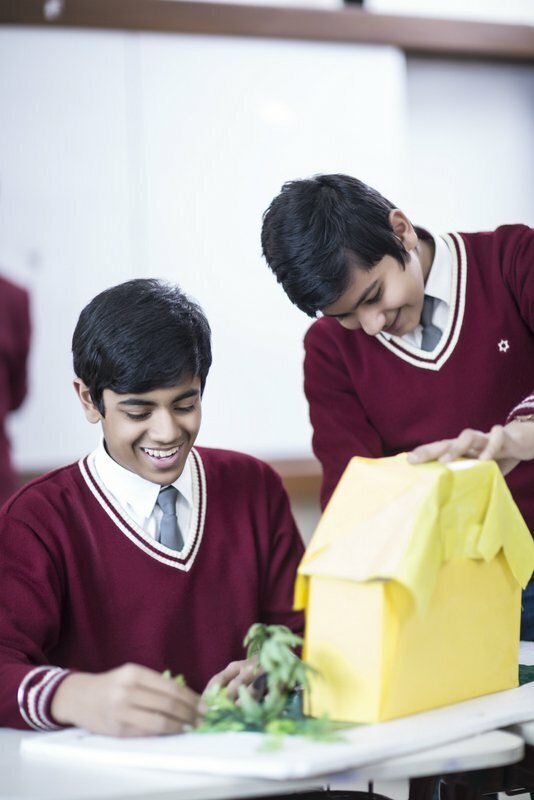 Robotics lab encourage question based approach of learning that helps students exercise their imagination through experimental challenges. 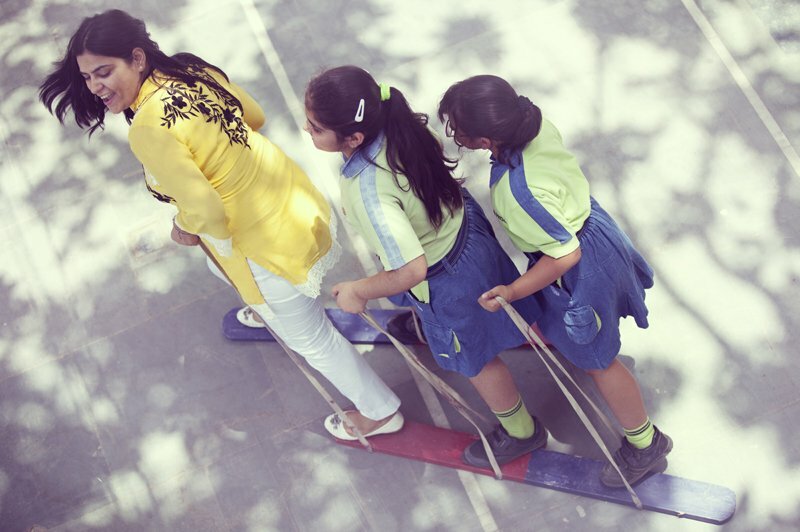 We believe that play enhances every aspect of child’s development and learning. 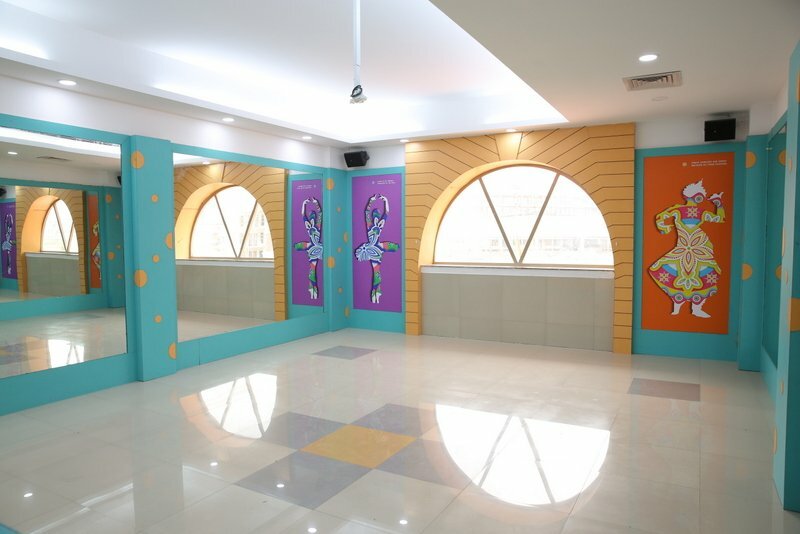 In fact, it is child’s window to the external world and forms the foundation of social, intellectual, physical and emotional skills that are requisite for success in school as well as life. 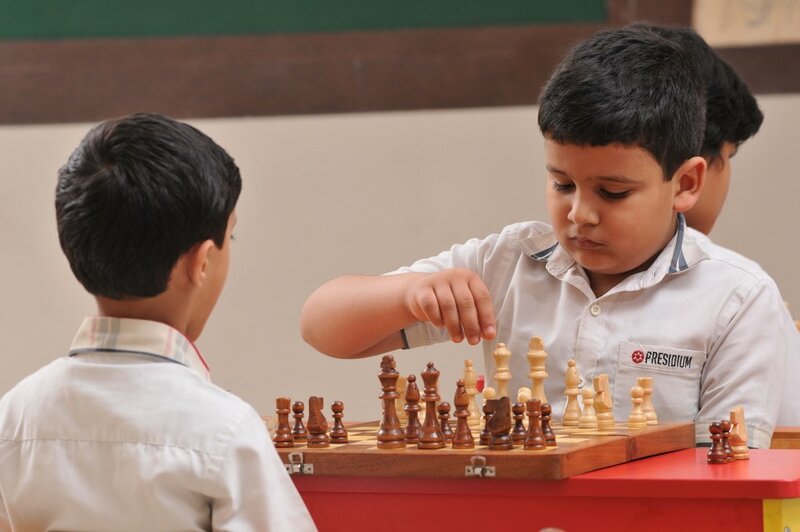 The very idea of including play, in required ratio with the academics, fulfills the prime objective of enriching students with creativity and thinking skills. 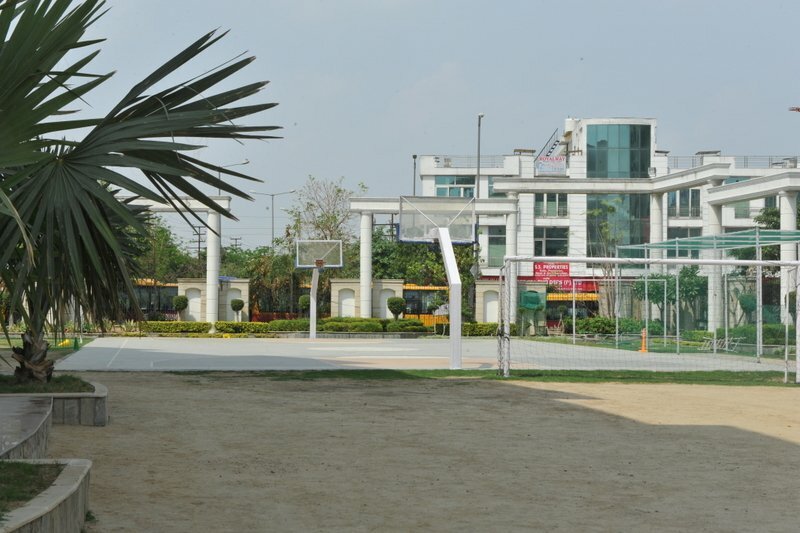 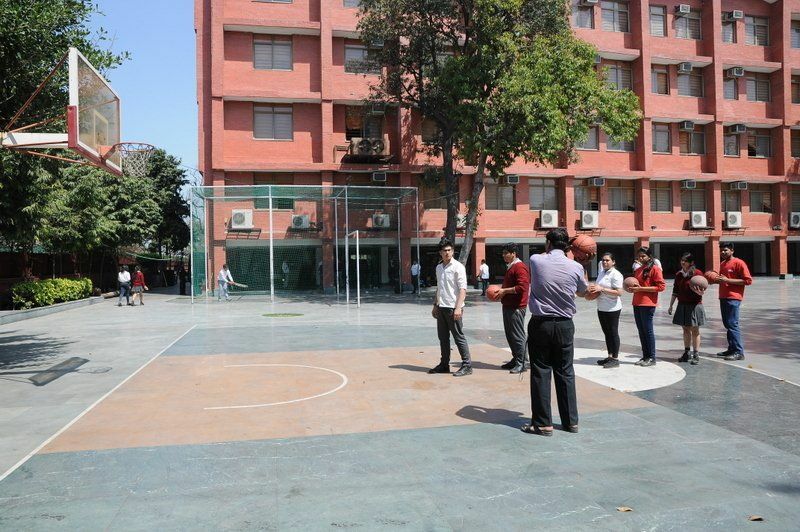 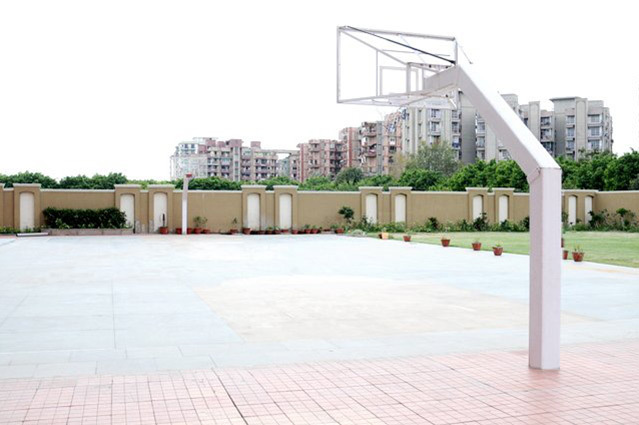 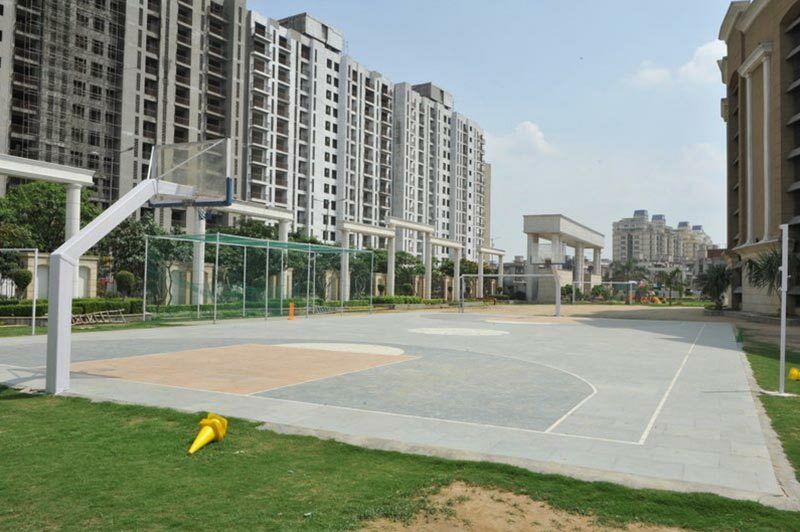 To accomplish this, we allow students to explore different environments by providing them playfields and facilities for basketball, Cricket, Taekwondo, Swimming, etc. 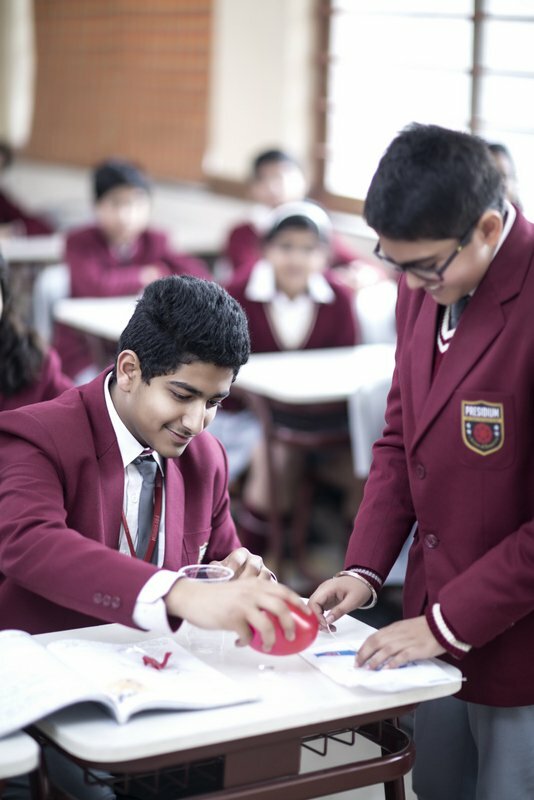 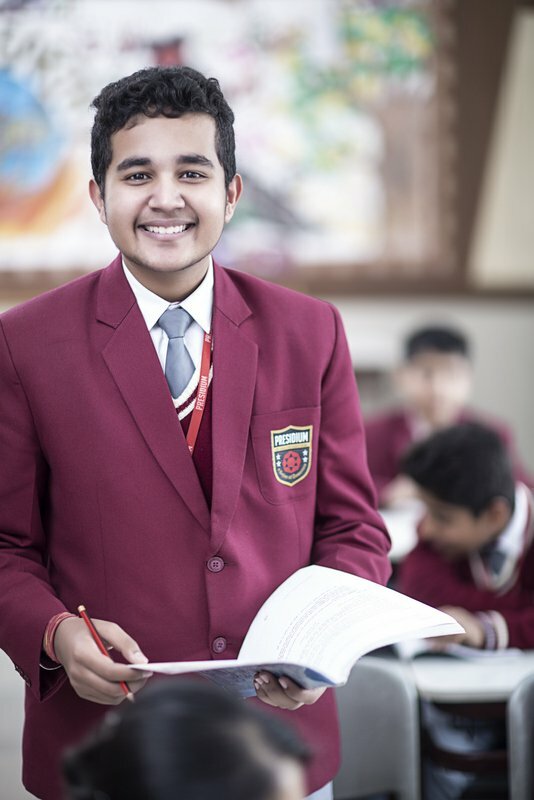 Apart from giving students opportunities, we foster their level of confidence with words of appreciation along with prizes and awards at events organised in the school. 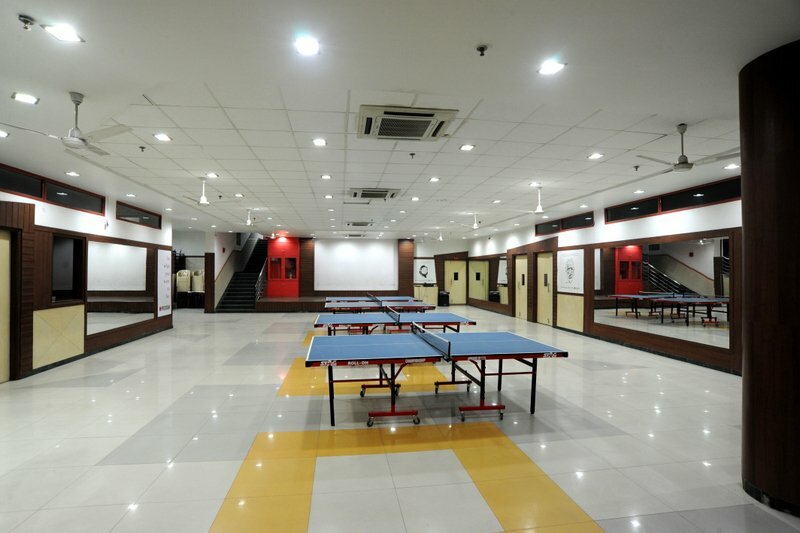 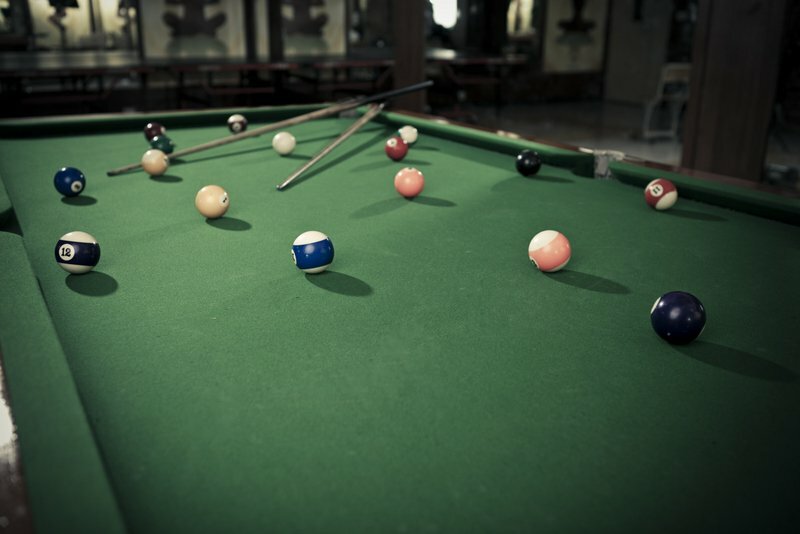 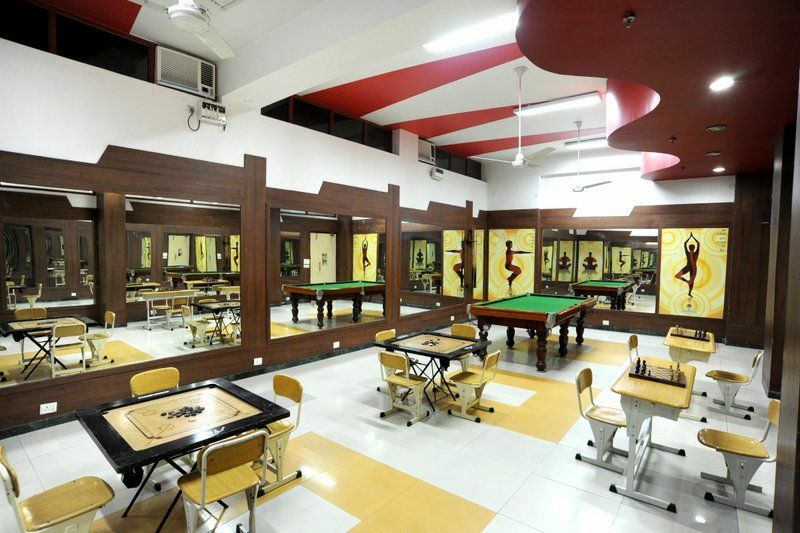 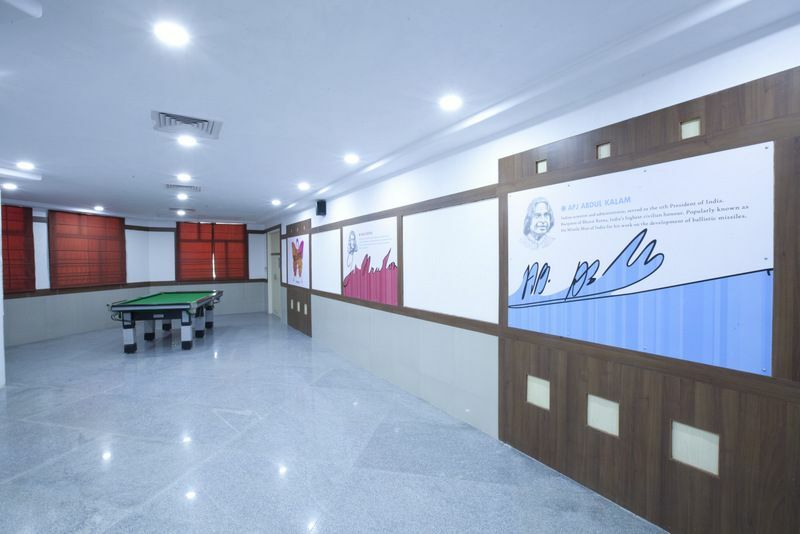 Apart from a huge outdoor play area, we also have a Sports Centre that offers a range of indoor games including table tennis, chess, and pool to students. 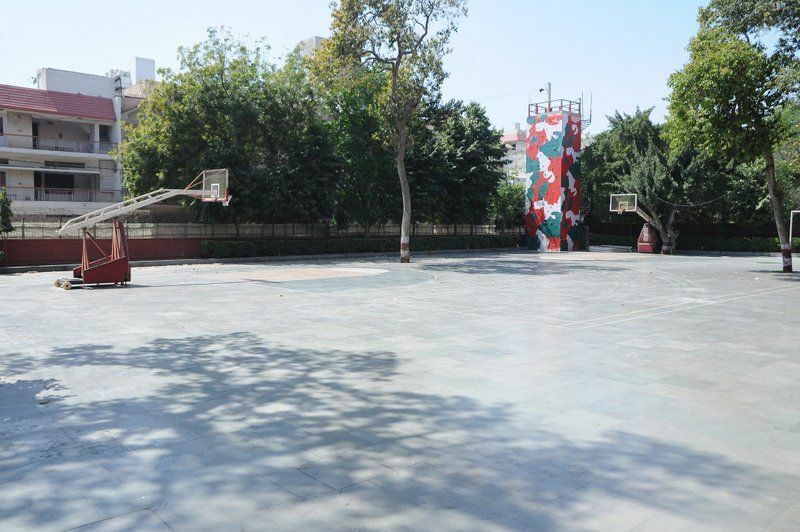 The objective is to include every game that can enhance their ability to not only focus on the goal, but also to help them create their very own innovative approach to success. 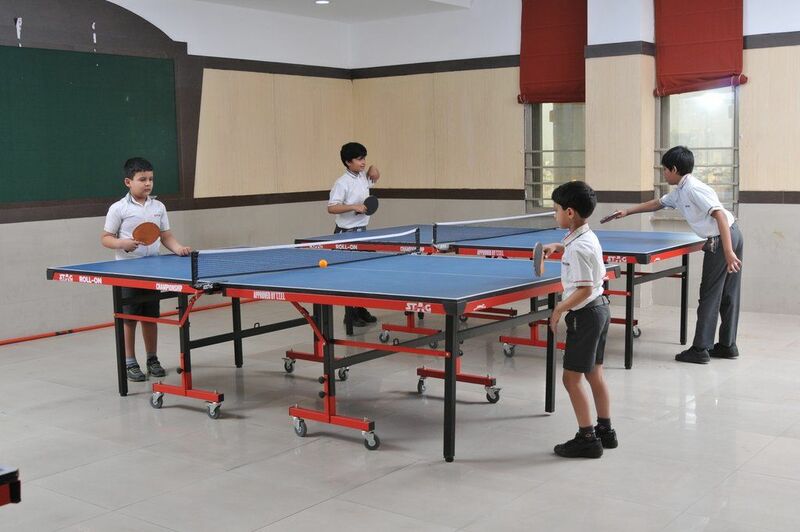 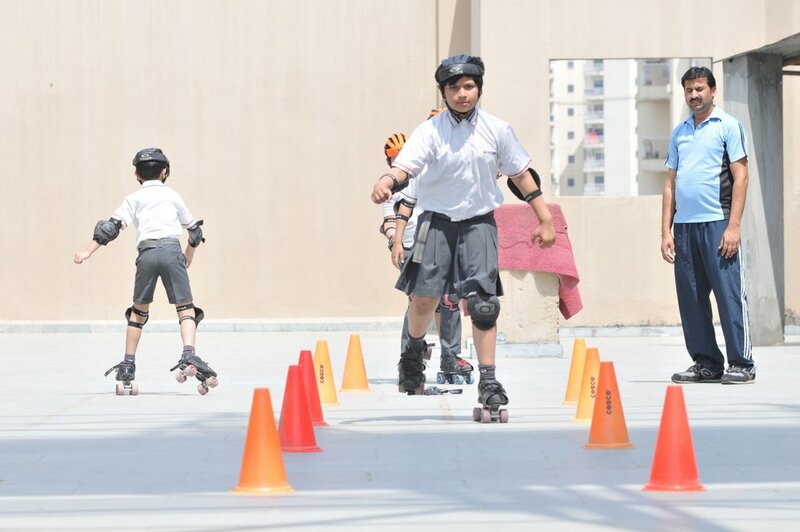 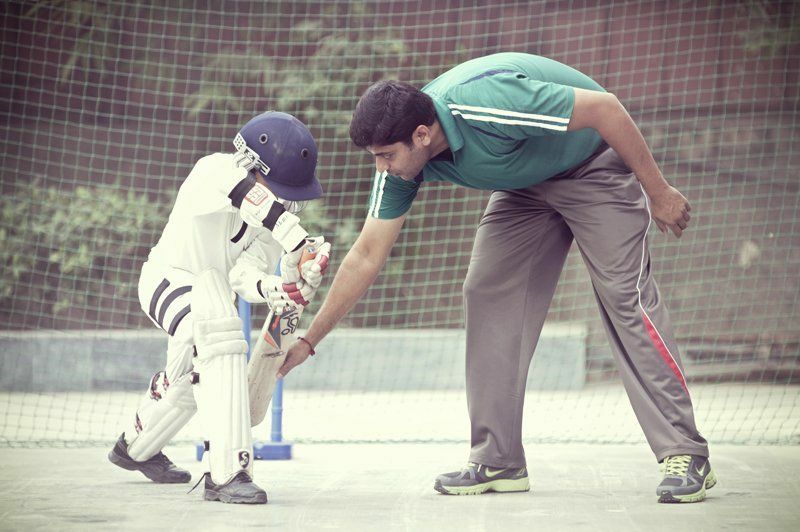 Simply put, our sports centre ignite the potential of every student to follow their chosen path. 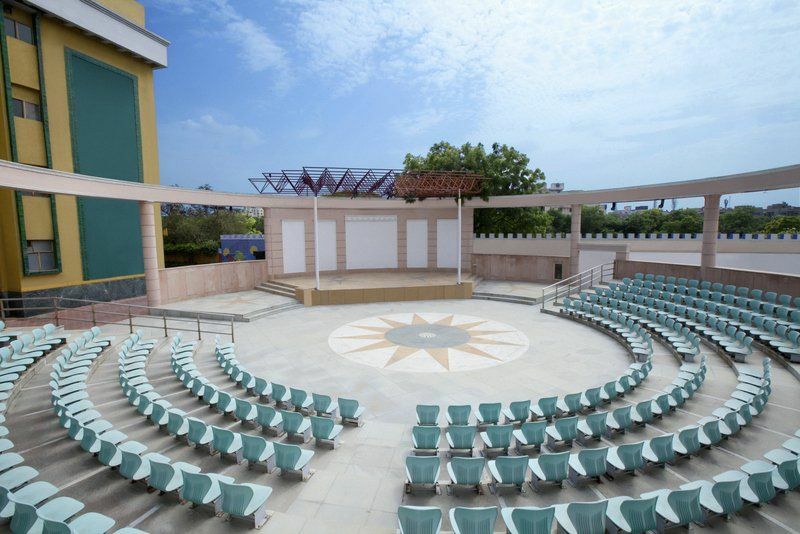 We have an open air amphitheatre stage, which with its artistic beauty, makes a splendid addition to the grandeur of Presidium. 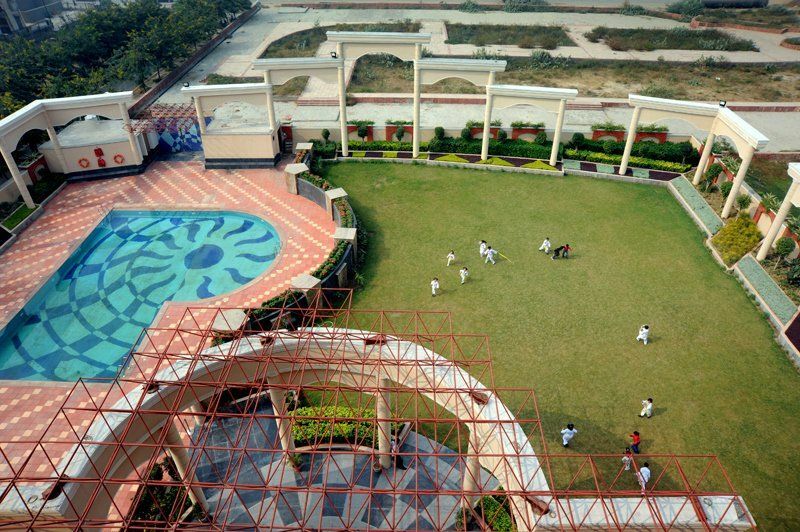 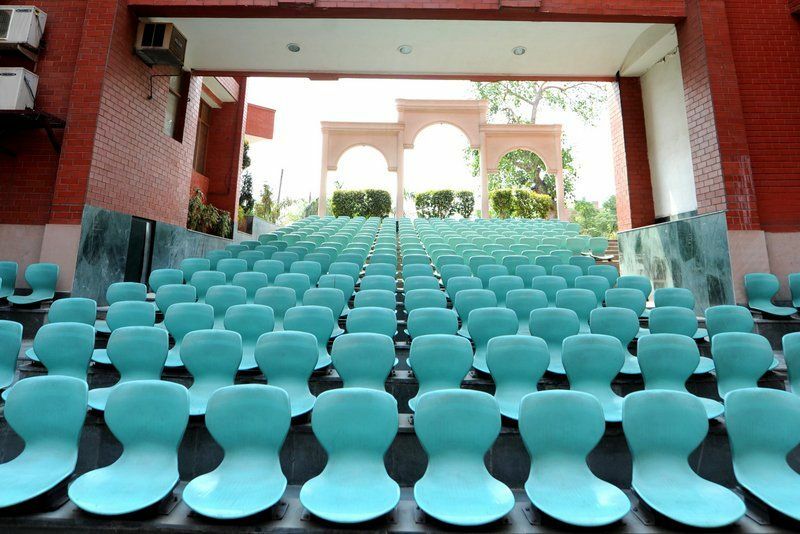 The amphitheatre is used for all sorts of outdoor stage activities including competitions, house and club meet, etc. 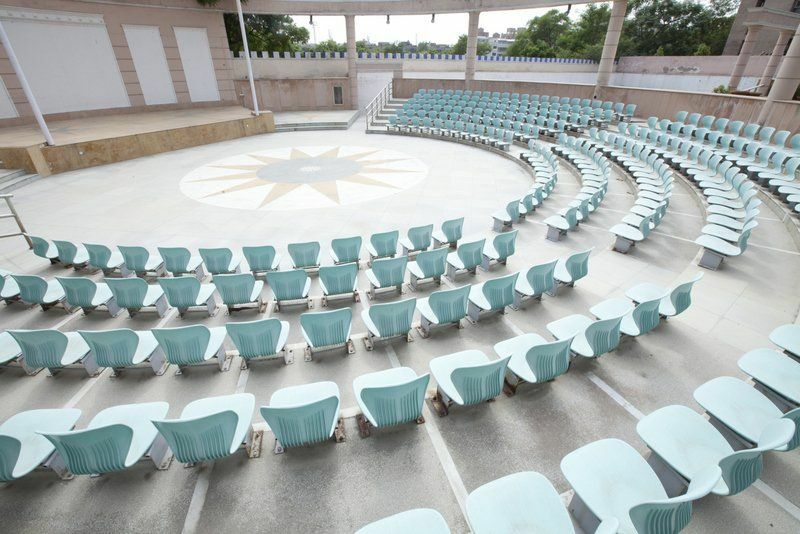 Our amphitheatre stage is a favourite place for all the budding artists of school where they can hone their theatrical skills and present their ideas with much more confidence, irrespective of the number of people sitting in the audience. 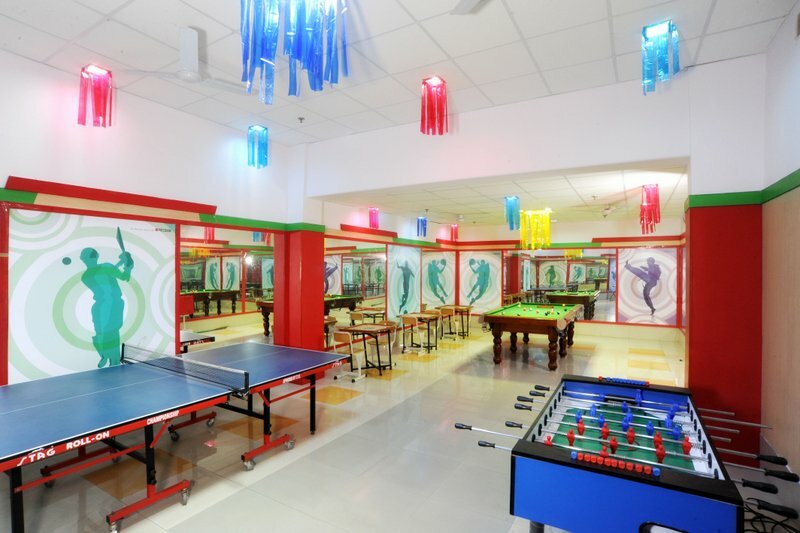 The Activity Rooms at Presidium are magical jukeboxes that spur every Presidian into action. 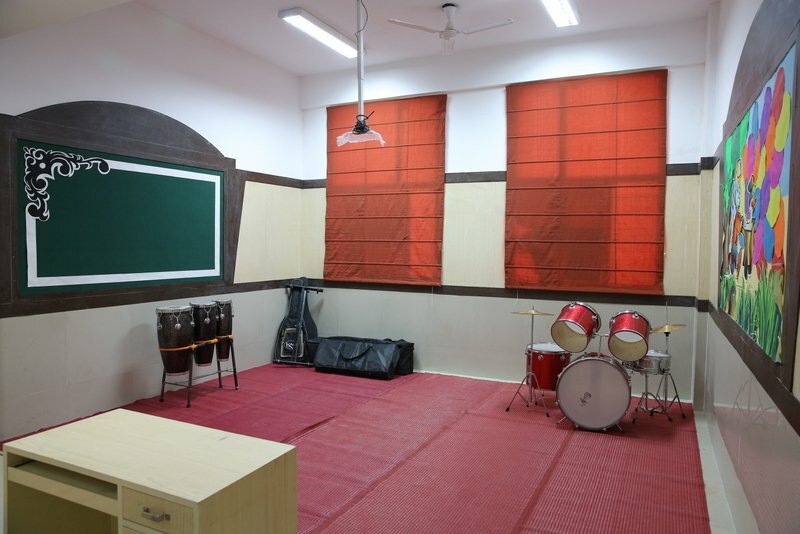 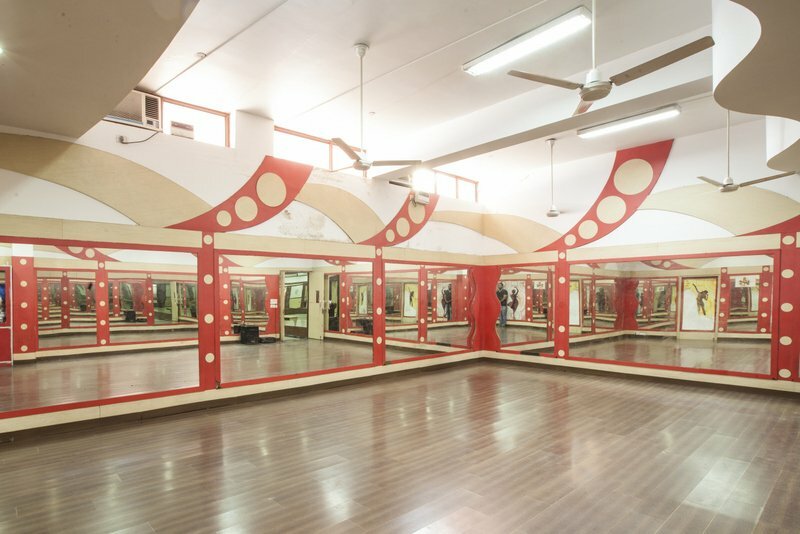 Equipped with a wide range of performing arts, our spacious activity rooms are fit for every session - be it dance, music or yoga. 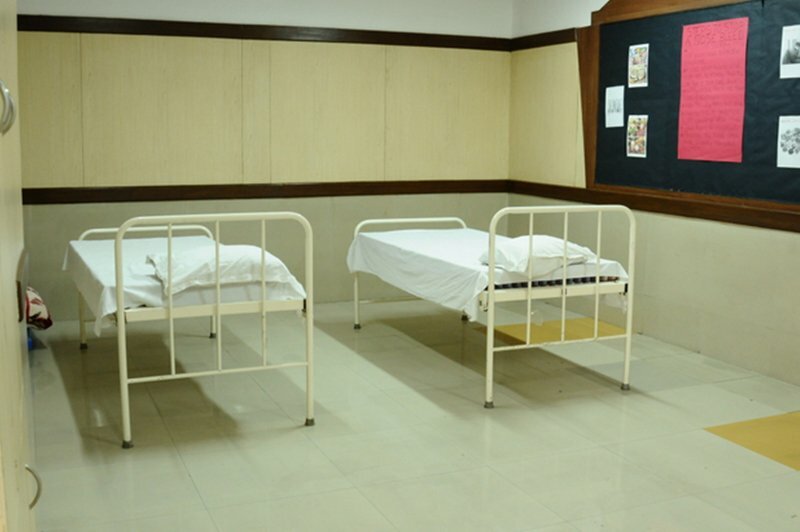 Presidium accommodates a well-equipped and well-furnished medical room, which is accessible during school hours. 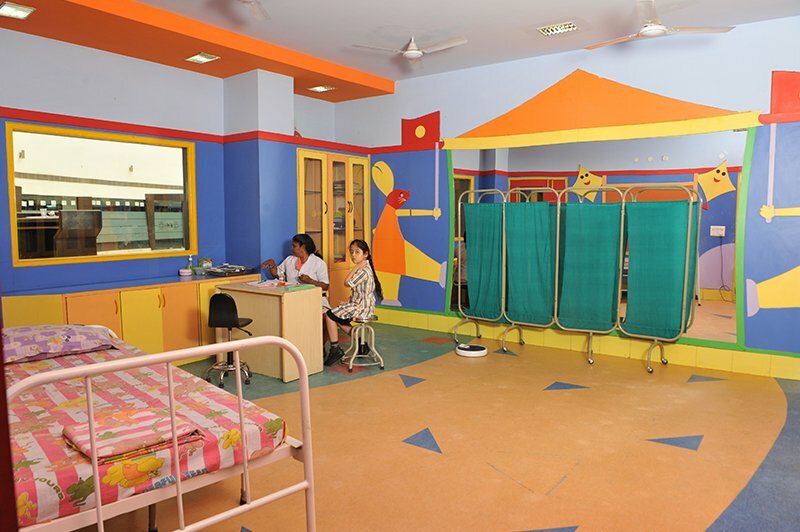 We have nursing attendants in place for ensuring that all the emergencies are taken care of. 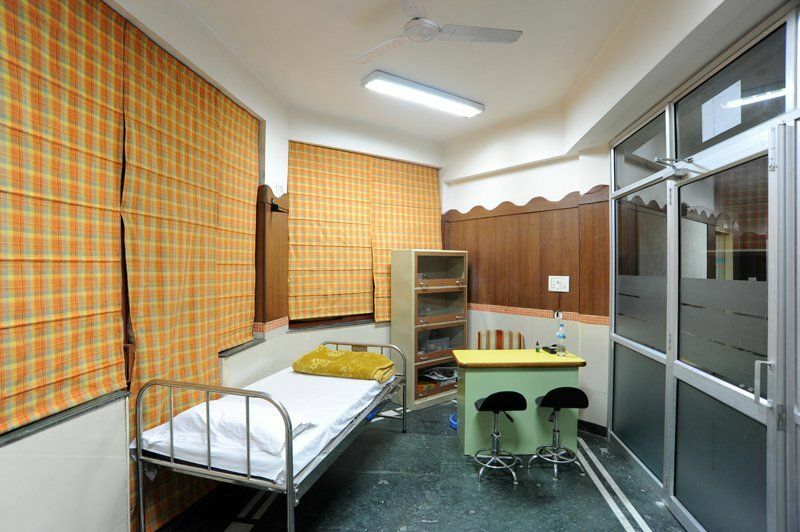 We also have a tie-up with the Adiva hospital to address medical exigencies right on time. 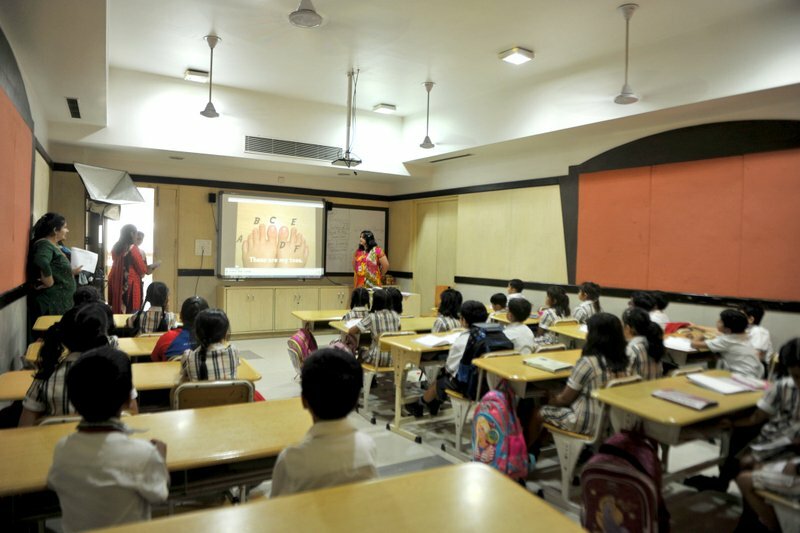 We conduct regular awareness programs for assisting students about various aspects of health education (diseases), first aid, healthy habits, diet management and stress management along with sessions of yoga and meditation. 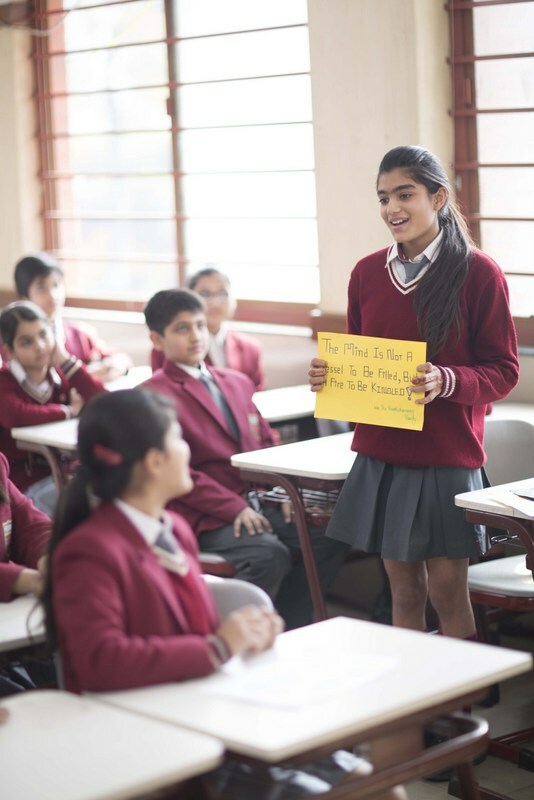 In addition to the awareness sessions, routine medical checkups are also conducted every year to keep a check on health issues.